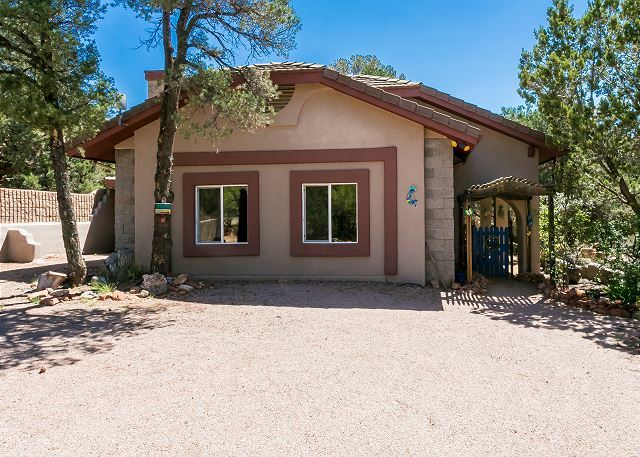 Casita Red Rock is a true vacation cabin, nestled in the Sedona trees! 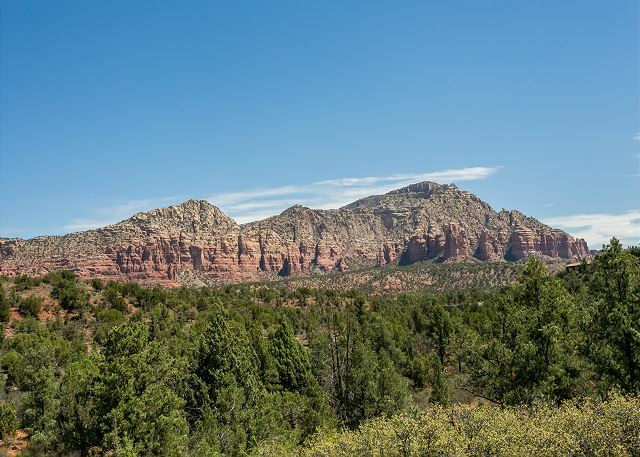 Located in the "Village of Oak Creek" part of Sedona, Arizona... 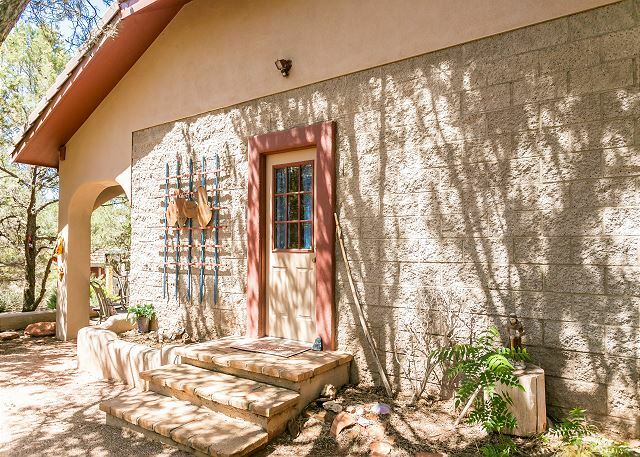 This tranquil casita is perfect for that Sedona getaway to just relax, or better yet see the sights and the beautiful red rock mountains. 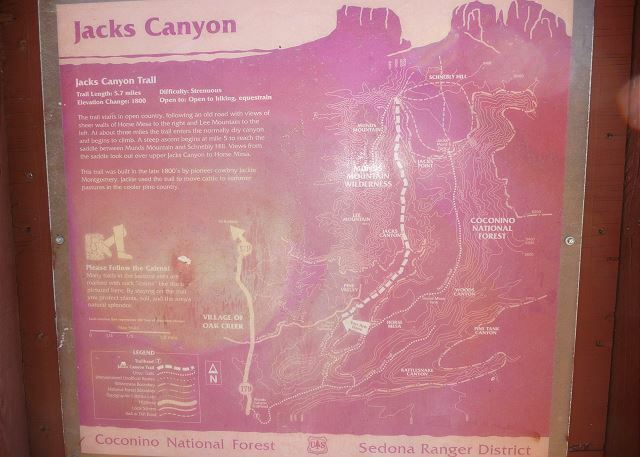 Easily get to the Grand Canyon as well. 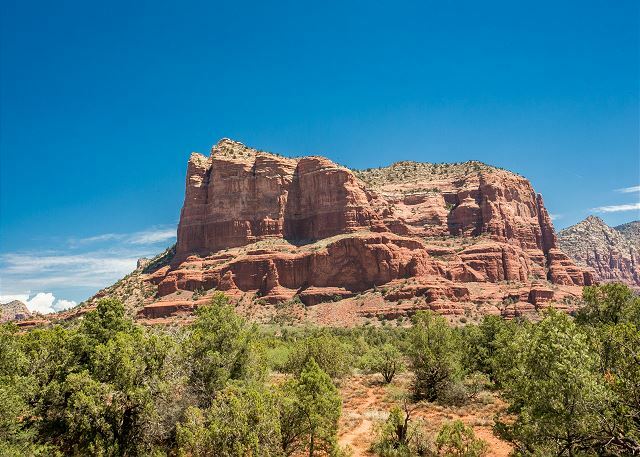 Enjoy all Sedona has to offer, such as the wonderful restaurants, AZ wineries and spectacular hiking, which you can get to easily from the property. 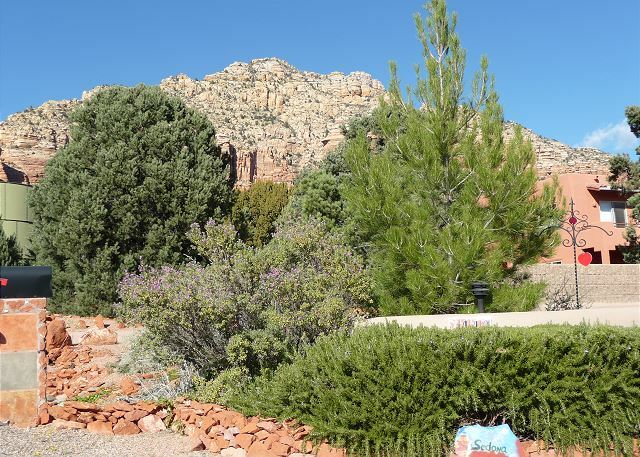 Minutes away from some of the best hiking and bike trails in the Red Rock area. 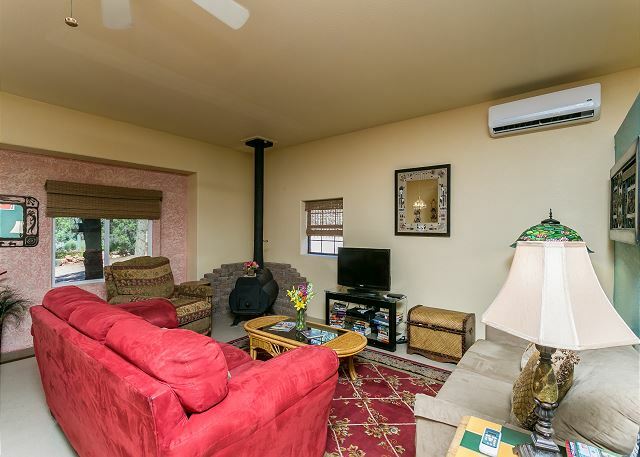 The Casita has one bedroom with a king size bed, a queen pull-out, a full capacity washer and dryer, stove, microwave, Barbecue, Direct TV, DVD, and Wireless Internet. 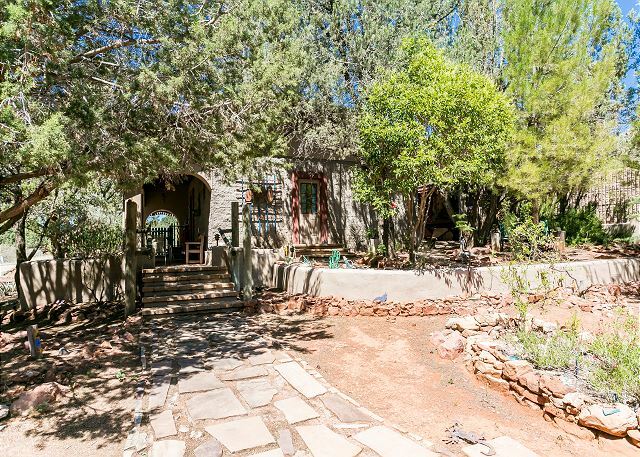 Secluded in a breathtaking setting nestled at the base of a mountain surrounded by trees. 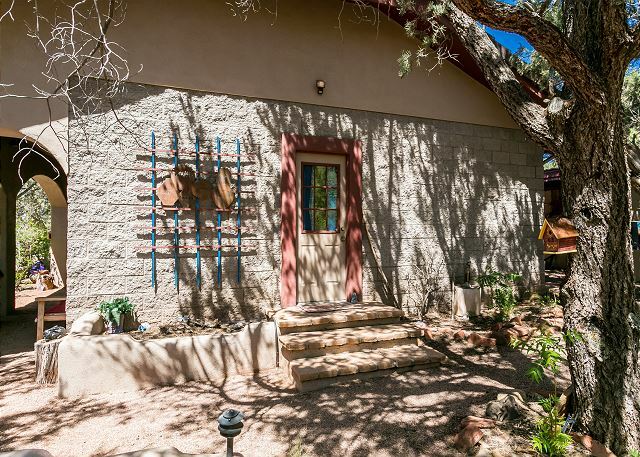 The Casita offers plenty of parking. 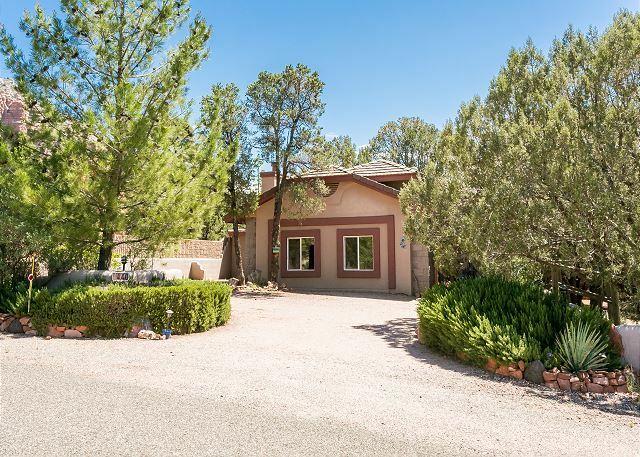 Recent additions include a door to privatize the bedroom, a built in closet in the bedroom and built in central heat/AC with remote. 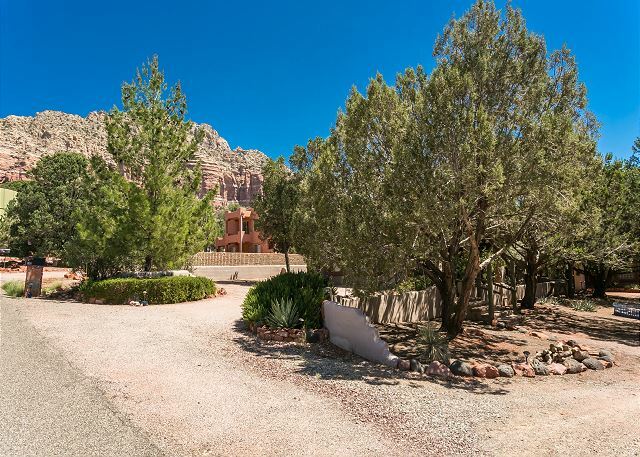 Trail-head walking distance from property. Pets welcome with prior approval only. Sorry, no cats allowed. 1 large dog, or 2 smaller dogs only. Additional $50 non-refundable cleaning fee assessed with pet(s). 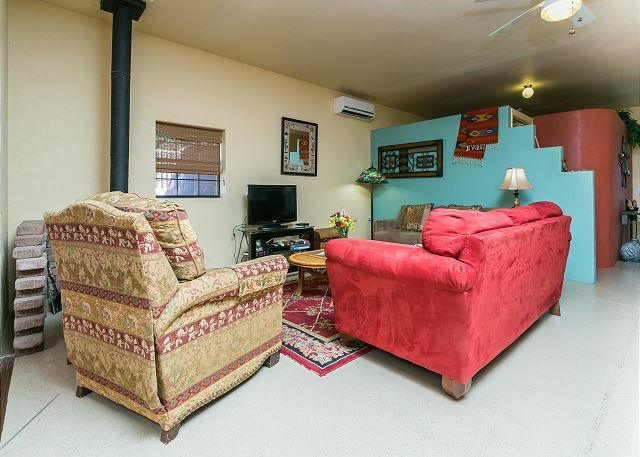 Please note that the fireplace is not functional. Vacation Rentals: If this is the first time using a Vacation Rentals in place of a Hotel/Resort you are in for a treat. Somebody will be on call during your stay to answer questions or to solve any unforeseen issues. 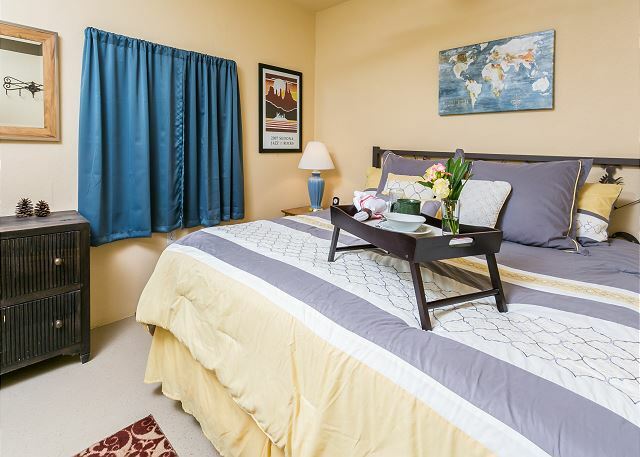 Home rentals have become a very popular alternative to expensive resorts in the area and we are confident you will have a memorable stay with us. All linens, bath towels provided; free WIFI. 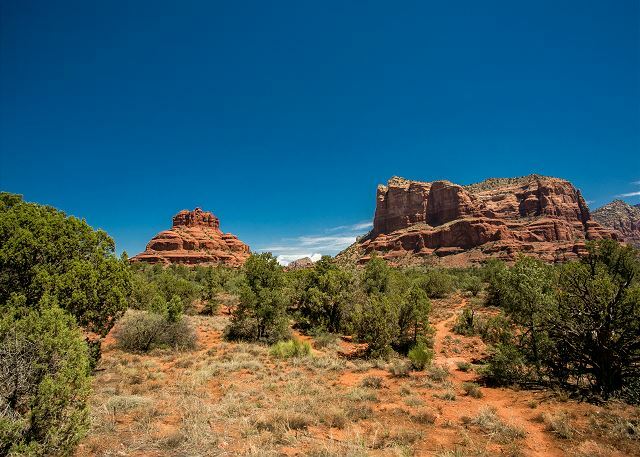 I LOVED staying at Casita Red Rock in Sedona! Excellent experence - Anonymous, Buckeye, AZ. 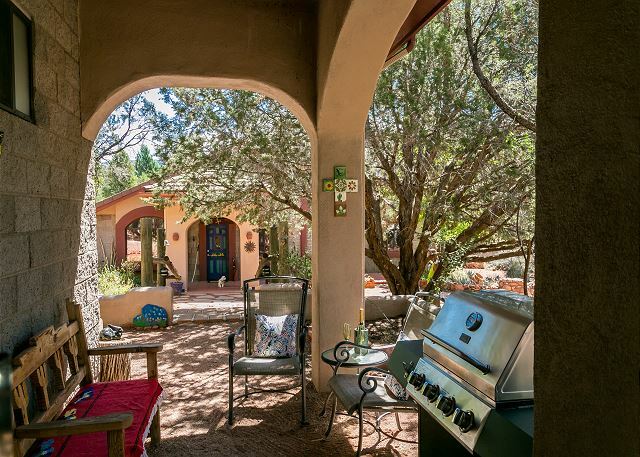 The casita was warm and inviting, the owners went out of their way to make the experience homey and welcoming, with little snacks and drinks, fresh flowers and having the air on when we arrived. The internet was a challenge with my work as the download speed must be low so I was struggling to log onto my VPN and that created some stress, but it did work eventually. The television was odd in that it wouldn’t come on unless you turned on the DVR first, waited a few minutes, then the tv, but those are little issues. We just wanted to watch a movie and had some difficulty getting the tube up and going. We enjoyed our stay. Property was very clean & organized. 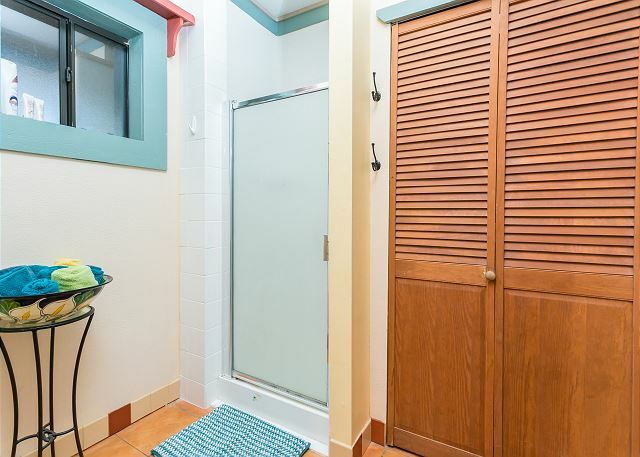 This property was very clean and well stocked with dishes and necessities such as washing machine soap, spices, etc. 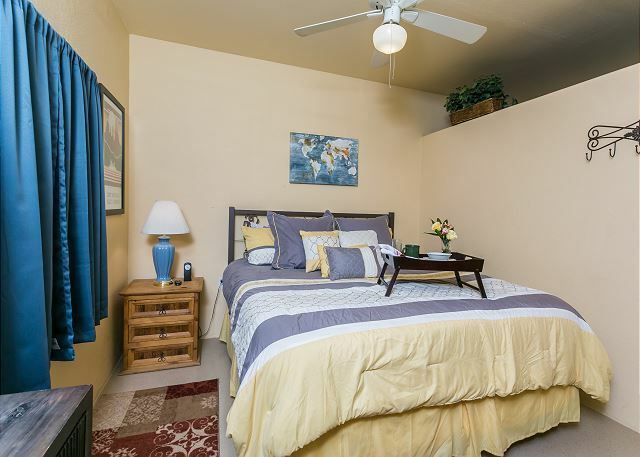 The casita is spacious and the bed was very comfortable.